Designers are trained to believe that similar typefaces should never be used together. But breaking this cardinal rule can sometimes be the perfect way to create ordered, elegant typography. As powerful as typography can be in setting a reader’s expectations, it’s often the dialogue between typefaces that most effectively communicates how information is meant to be understood. Dictionaries use bold Antiques and delicate Ionics to distinguish their headwords and definitions; wayfinding systems use different fonts to identify routes and destinations. Find the most monotonous piece of design you can, and it’s still likely that its logo, headlines, and text are wearing different typographic dress. It’s therefore customary for designers to reach for palpably different typefaces when assembling a palette. If not, why use more than one font in the first place? It’s hard to imagine the design that truly needs both Univers and Helvetica, and designers who mix both fonts indiscriminately do so at their own peril. Think of a trustworthy website, whose login page is one day mysteriously rendered in Times Roman. Even the most visually indifferent readers feel these disruptions. Designers contemplating two different fonts of the same general style often limit their choices to designs that have distinct personalities and pronounced characteristics. 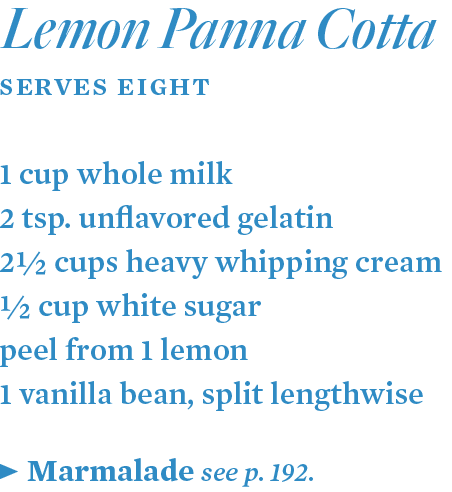 No one would consider “two serifs” likely to clash if one were tall and lithe, and the other a stocky text face. But few would consider pairing two different Old Style faces, let alone two Dutch Old Styles with the same large x-height and dark strokes, and many similar details. Quarto and Mercury are two such typefaces, and while their differences are clear enough to the typographer, we should assume that the vagaries of serifs and ball terminals are lost on the average reader. Two Dutch Old Style typefaces, Quarto and Mercury. Curiously, it’s this very ambiguity that suggests a union of the two typefaces, in which each is free to assume the role for which it’s best qualified. Quarto is a display face, with the snug fit, delicate hairlines, and discreet serifs that recommend it specifically to headline sizes. The Mercury family contains two kinds of faces for smaller sizes, each with the generous fit, thicker hairlines, and clearer gestures necessary for reproduction at text sizes: Mercury Text was designed for print, and Mercury ScreenSmart was designed and engineered for the screen. Quarto and Mercury SSm used together for Not To Scale, in a design by She Was Only. On their website, filmmakers Not To Scale pair Quarto and Mercury ScreenSmart beautifully, by assigning each font a specific and exclusive range of sizes. Quarto is restricted to headlines, with Mercury ScreenSmart supplying everything else. The relationship between these two designs is further articulated by the designers’ use of Quarto’s heaviest weight and Mercury’s lightest, and by routinely pairing one font’s roman with the other’s italic — something the designers archly do in both directions. WHY IT WORKS: Related typefaces can be successfully used together if each inhabits its own altitude, one at text sizes and the other at display. 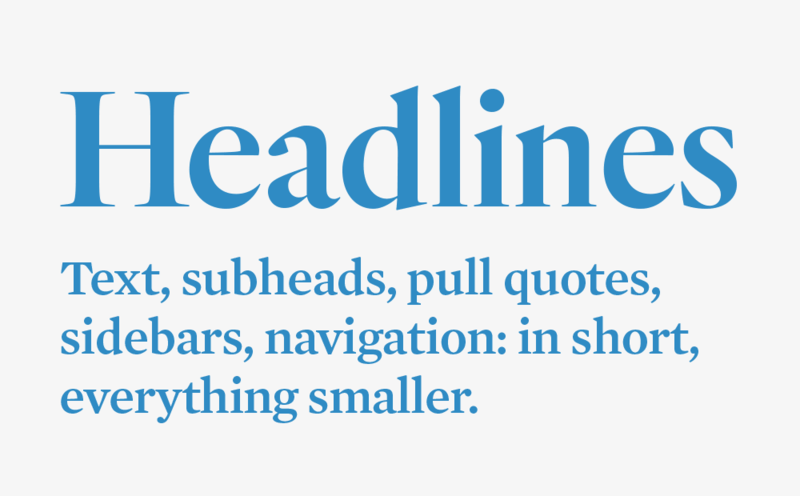 For this to work, each typeface must have the visual characteristics appropriate for its size range, with the hairlines, proportions, and fit that are tuned for either text or headlines. For large sizes, look for serif fonts with Fine, Display, or Titling in their names, as well as sans- and slab serifs with extreme weights such as Hairline or Ultra. For small sizes, look for print fonts named Text, and webfonts that are specifically built for small pixel sizes, such as the ScreenSmart collection. TIP: Explore the contents of the text and headline faces you choose, reviewing both their styles and their character sets. Display faces often have a broader range of weights to choose from, offering subtle shadings that come alive at large sizes. Text faces often contain features such as small caps, tabular figures, fractions, or symbols, which can help both articulate and decorate text at small sizes. Typefaces that have similar mannerisms, if they’re intended for the same range of sizes, can make truly ponderous companions. Sometimes such fonts are the work of the same type designer, who exhibits a strong personal style; other times the resemblence is coincidental. The following two typefaces are each the product of a radically different brief: Ideal Sans is a sans serif that renders a Humanist framework with handmade gestures, and Operator is meditation on the technical aesthetic of the typewriter. Yet both faces meet at some unforeseen crossroads, sharing the same motifs of angled stroke endings and asymmetrical curves, similarities that would seem to disqualify them from ever being used together. 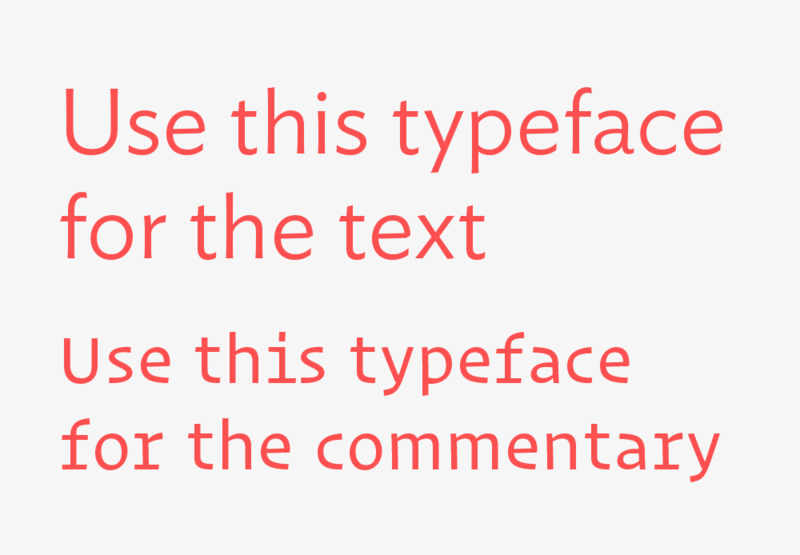 While unrelated, the Ideal Sans and Operator Mono typefaces share a number of characteristics. For the publication of his longform essay The First Roman Fonts, author and publisher John Boardley chose this very pairing for his website, I Love Typography. Both faces, in their ScreenSmart versions, are used at small sizes, Ideal Sans for text, and Operator for the supporting footnotes and commentary. That both fonts were designed and engineered for small sizes might make either one a good choice to satisfy both functions, but Boardley’s selection of different fonts for different textual roles helps formalize the site’s distinction between text and annotation. Ideal Sans SSm and Operator SSm used together at I Love Typography. On the site, each typeface serves a function that’s sympathetic with its origins. Ideal Sans, with its large vocabulary of organic shapes, produces the kind of complex texture traditionally associated with seriffed text faces. Operator, with its roots in typewriting, can effect an authorial, academic voice, the perfect choice for the commentary that surrounds the text itself. Italics from Ideal Sans and Operator. WHY IT WORKS: Instead of dividing the typography by type size, these typefaces have been assigned different semantic functions. The choice of typeface is prompted by the structure of the content itself, with each selection informed by both the fonts’ abilities and their intentions. Spending time with the fonts’ character sets revealed that their superficial resemblence goes no deeper than a handful of letters in a few core styles, and uncovered some useful textures in the auxiliary styles, such as these very different forms of italic. TIP: Remember that even fonts that share the same visual cues can have wildly different proportions, which affect the leading, column width, and tracking they require. Compared with Ideal Sans, Operator has narrower letters, a larger x-height, and dramatically shorter ascenders, descenders, and caps, which together invite much tighter settings. Varying these parameters can help play up the differences or similarities between the two typefaces. Many consider the idea that revivals aim to be definitive — that history is heading toward one ultimate Garamond revival — to be outmoded. Instead, contemporary designers often approach historical material in a more interpretive way, finding qualities in historical artifacts that resonate with ideas and requirements of their own. Some of the most interesting contemporary typefaces are those that are grounded in historical forms, but are less “recreations” of old typefaces than “occasioned by” them. This invites the possibility that a type designer might revisit the same historical source many times during his or her career, and produce many different interpretations that have both differences and similarities. Sometimes these designs will conflict with one another, other times they’ll be compatible. Most often, they’ll do both. Inspired by American wood type, Champion Gothic is a typeface whose ideas we revisited as Knockout. An example from our library is the pairing of Champion Gothic with Knockout, two divergent type families created years apart, and both inspired by the same historical source. Champion Gothic was my first typeface, designed in 1990, and intended to be a modern interpretation of nineteenth century American wood types. Designed for Sports Illustrated, its sentimentality is checked by the needs of an energetic editorial art department, and its design shaped by a magazine format that required five closely-related condensed faces plus one heavy outlier. A few years later, I revisited these typefaces with different goals in mind, thinking about how this material might be rationalized into a larger grid of both widths and weights, to ultimately produce the 32-member Knockout family. Above are nine of Knockout’s styles, alongside all six of Champion’s, showing the common ancestor that both fonts share. Just as a designer might pick the most appropriate Garamond revival for a project, most designers can evaluate Champion and Knockout’s merits and decide which fits the project at hand. But some designers use styles from both families together, and sometimes to great effect: the example below is a favorite, pairing two styles of Knockout with Champion Gothic Heavyweight. WHY IT WORKS: When working with two different families built on the same historical ground, look for points of overlap and differentiation beween them. If both families have the same range of styles, and include the same kinds of features and character sets, stick with the one that feels best for the project. But if there are outliers in one family that aren’t represented in the other, try using them together. This design works because its central style, Champion Gothic Heavyweight, is the farthest afield from the styles in Knockout, not only in weight and width, but in character. Similarly, the two weights of Knockout used here are ones that have no analogue in Champion, whose weights never go this wide, this narrow, or this light.